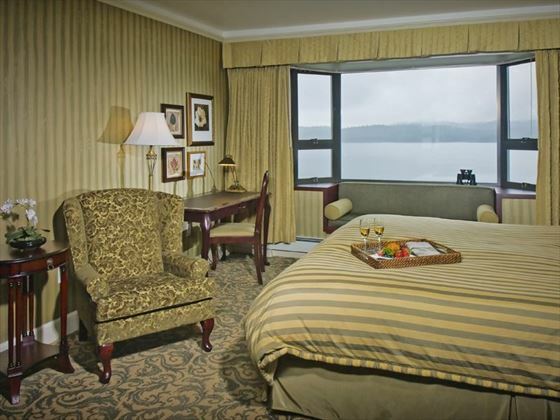 Set in the heart of Prince Rupert’s main tourism area, this elegant hotel is surrounded by spectacular natural beauty. 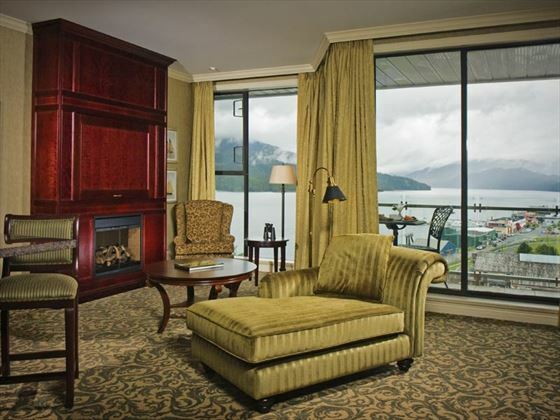 From each of the traditionally-appointed, luxurious rooms, you will encounter breath-taking views of the city’s beautiful harbour, Tuck Inlet-Cow Bay, forested mountain tops and soaring eagles from large picture windows with built-in seating. 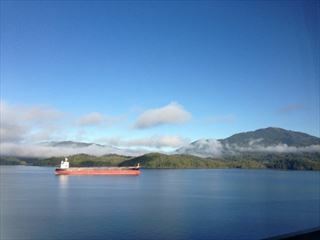 The hotel is located in a fabulous area to explore your surroundings; just minutes away from Prince Rupert’s ambient harbour, plentiful museums, shops, restaurants and spectacular landscapes. And you can also explore more of this stunning region with regular ferries to Digby Island and Port Hardy, as well as a scenic train journey to Prince George. 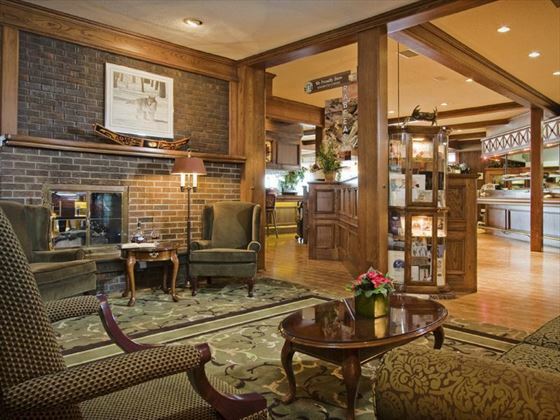 The Crest Hotel also offers a splendid selection of facilities and amenities to indulge in, both within your private guest room and throughout the property. Enjoy plush, elegant furnishings, signature bath products, cosy fireplaces, jetted tubs and room service, as well as complimentary Wi-Fi, a fully-equipped fitness centre, gorgeous outdoor hot tub and a steam room. There are also three wonderfully ambient venues to dine in, each serving divine cuisine, fine wines, refreshing beverages and unparalleled views. Situated to the north of Kaien Island, the hotel is set atop a high promontory which overlooks the inner harbour, and enjoys one of the most beautiful points on the Island. 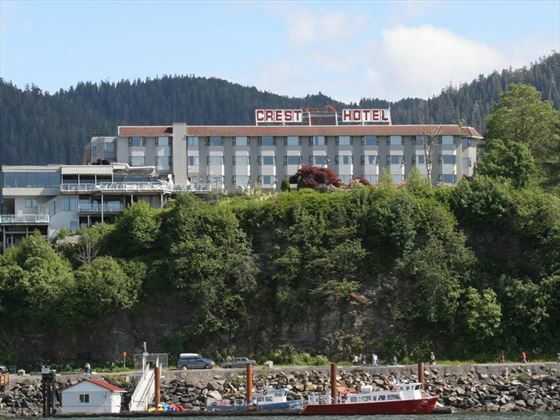 The hotel’s central location means that you are just a short stroll away from the Museum of Northern British Columbia, Cow Bay Shopping District and the bustling city centre, as well as the ferry terminal and Via Rail station if you’re looking to explore some of the surrounding islands. Prince Rupert city is also a gateway to spectacular wilderness such as the Khutzeymateen Grizzly Sanctuary bear habitat, and if you take a boat trip offshore, you may catch sightings of magnificent humpback whales and other marine life in the fish-filled waters. 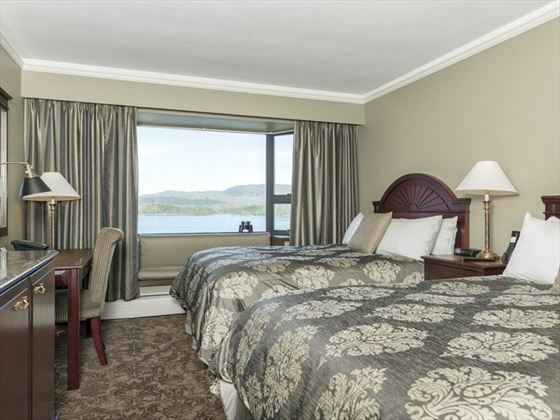 These lovely rooms are appointed with elegant décor and plush amenities, and feature wonderful ocean views of Prince Rupert Harbour. Offering a heightened level of beautifully designed living space, these rooms feature breath-taking views of Cow Bay and Tuck Inlet. These rooms are set overlooking the cityscape and spectacular Mount Hays, so you’ll wake up from a comfortable night’s sleep to sublime vistas every day. 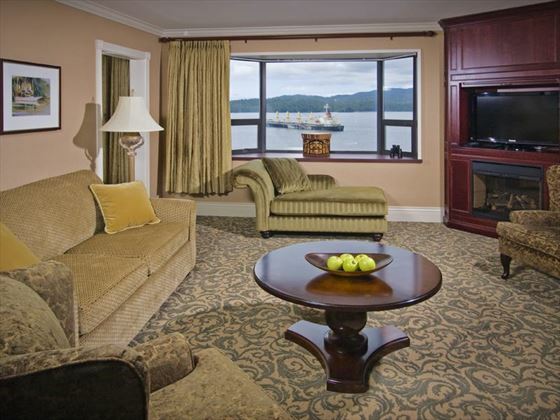 These lavish suites feature classic, sophisticated décor, gorgeous ocean views of Prince Rupert Harbour and a number of luxury amenities. 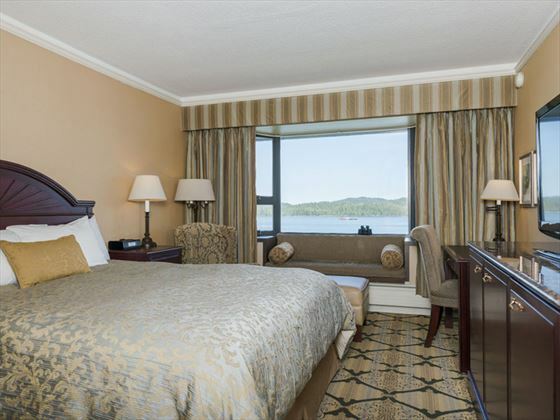 Appointed with rich décor and sumptuous amenities, these spacious suites feature a spectacular backdrop of Prince Rupert Harbour’s sparkling waters. These large, airy suites feature a blend of contemporary and antique décor, complemented with unforgettable views of Prince Rupert Harbour. Elegant, spacious and peaceful, these suites offer the best of both worlds with mesmerising city views and a serene ambience. 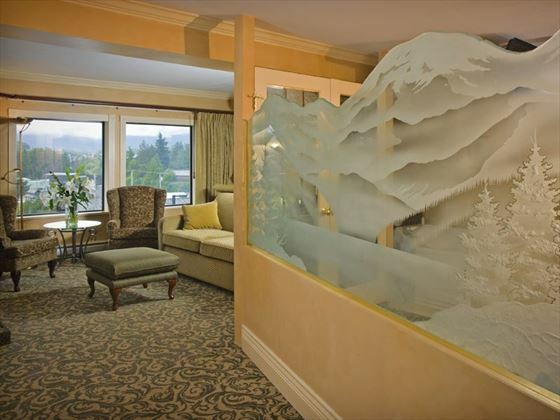 These sumptuous suites offer a new level of luxury, featuring charming, well-appointed décor in abundant living space, exclusive amenities and fantastic views of Mount Hays and Prince Rupert Harbour. These grand, elaborate suites are appointed with pampering amenities, gorgeous furnishings and an expansive level of private living space. 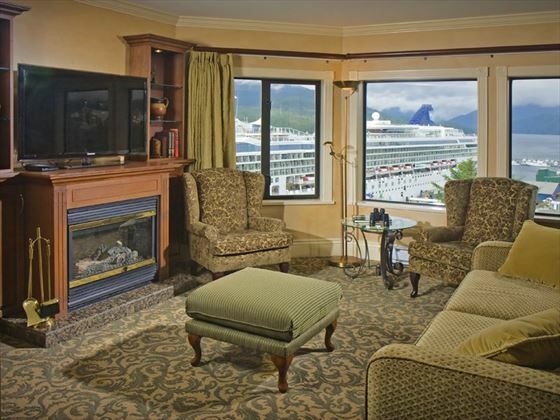 Opulent, spacious rooms featuring beautiful, ornate décor, luxurious amenities and magnificent views of Mount Hays and Prince Rupert Harbour. As soon as you step into this restaurant, your breath will be taken away by the magnificent, undisturbed views of the Prince Rupert Harbour and Tuck Inlet. Serving a wonderful blend of international cuisine complemented with Pacific Northwest flavours, each unique dish is cooked to perfection with the finest ingredients, and is served with a fabulous wine list which offers an extensive selection of new world wines. Nestled into the sublime oceanfront setting with a cosy heated deck, this is a popular spot for locals and visitors to gather. 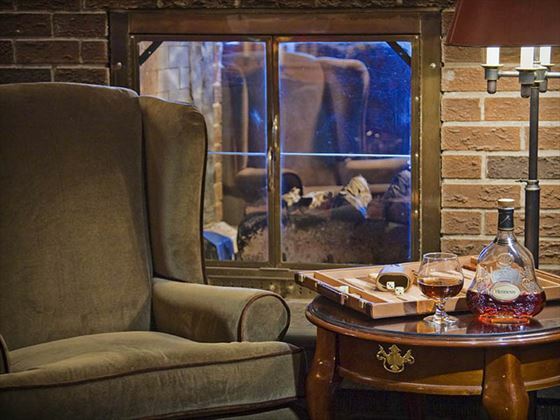 The lounge offers a wonderful selection of beverages including fine BC wines, spirits and a variety of international draught beers and craft brews, as well as a very tempting cocktail list. You can also tuck into delicious meals as you admire the views and relax with a drink or two. Conveniently located in the hotels lower lobby, the Crest Café is a relaxed, cosy spot to enjoy a freshly-brewed speciality Starbucks coffee, teas and other beverages, alongside a tempting selection of snacks, pastries, muffins, lunch and dinner entrees, soups and other light bites. 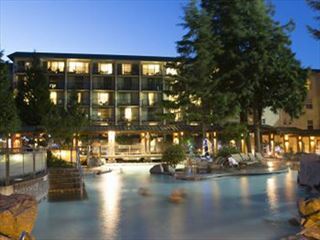 The only hotel property in town with mineral hot springs right onsite. Sitting on the picturesque shores of Harrison Lake, Harrison Hot Springs Resort & Spa offers the ultimate hideaway, within cozy cabins. 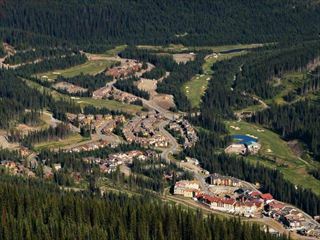 Sun Peaks Grand Hotel is located in the heart of the Sun Peaks alpine resort village, committed to providing a luxurious and pampering experience; the hotel has received numerous awards for superb service, facilities and sustainability practices, in addition to amenities designed to make you feel special.